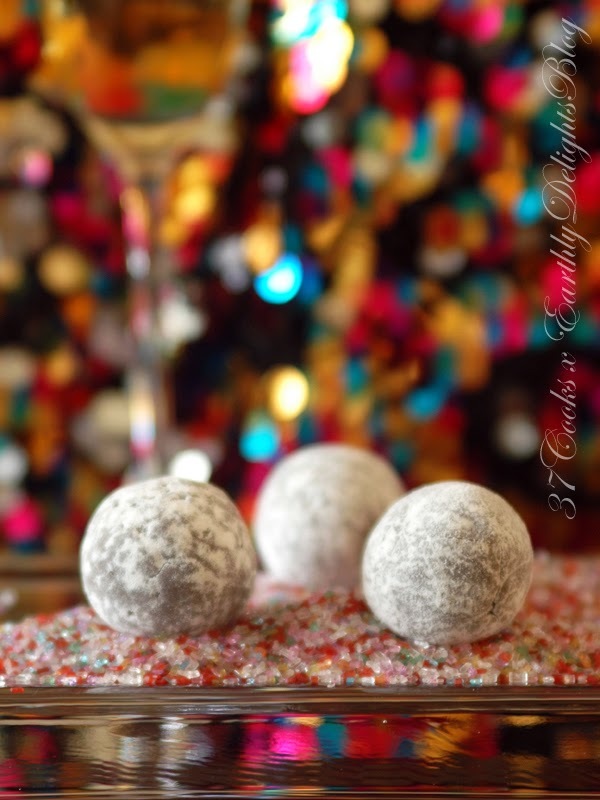 The Spice House's Fizzy delivers a subtle tingling sensation on the tongue when consumed, which makes it perfect for mixing into a classic Champagne truffle. In a bain-marie (bowl over pot of boiling water), melt the chocolate until smooth. Remove from heat and stir in cream, then champagne and cognac. Let cool, stirring occasionally, until the chocolate thickens, but remains liquid. Stir in Fizzy. Continue to let cool until the mixture is firm enough to shape into balls, but not completely re-solidified. Drop by rounded teaspoons into powdered sugar, spooning sugar over to coat, and rolling into balls by hand.